How to Log out of Instagram on all devices: Instagram is a social media network which allows users to share their pictures, personal or business related pictures with other users. It is available both on mobile device and on PC. 1. Tap the "Settings" icon which is at the upper-right corner of your Instagram profile whichever device you are utilizing. 2. Scroll to the bottom of the page and then tap "Log Out," located in the Account section of the Settings screen. 3. A window will pop-up, asking if you are sure, tap "Log Out"
And that’s all, isn’t it simple? 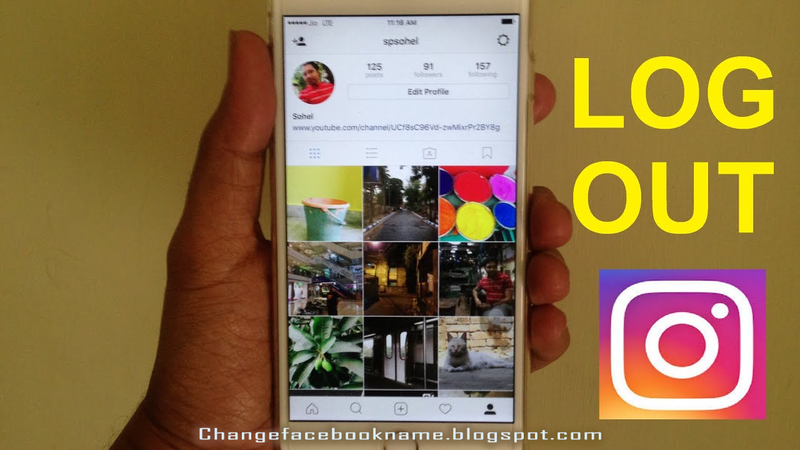 In case you want to log out of Instagram on your PC's Internet browser, simply click your username in the upper-right corner and click "Log Out" from the drop-down menu. I hope this was helpful to logout of Instagram on all devices? Kindly share this with your pals so they won’t be stranded using one account.